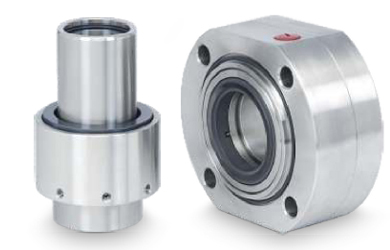 Type DB-HP-108 mechanical seals are designed for heavy duty service involving high pressure and sliding velocities. 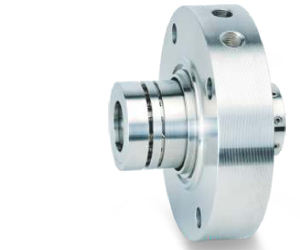 This seal has positive drive arrangement and sturdy construction making the seal suitable for high pressure application. Multiple spring design provides uniform face loading. 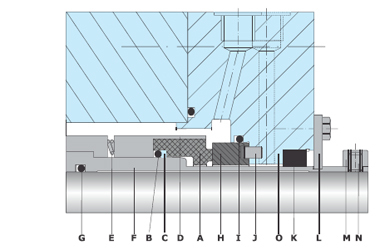 The seal is supplied as a cartridge unit and can be directly bolted to stuffing box. 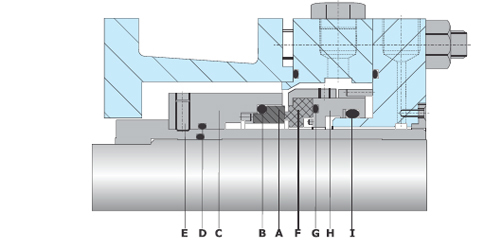 These seals are normally used in main oil pipelines, water injection pumps and boiler feed water pumps. Type DB HP-104 series are designed to handle liquids of varying containment including slurries, sludge, sewage, viscous or abrasive media etc. The Type DB-HP-104 Cartridge Seal combines the advantage of easy installation and simple maintenance with total reliability. The Compactness of the design ensure that the seal fit all ANSI and DIN stuffing boxes. This Seal is specially design for high pressure application.